A South Bay school farm program got some high-tech security upgrades on Friday after being vandalized for the second time in a year. 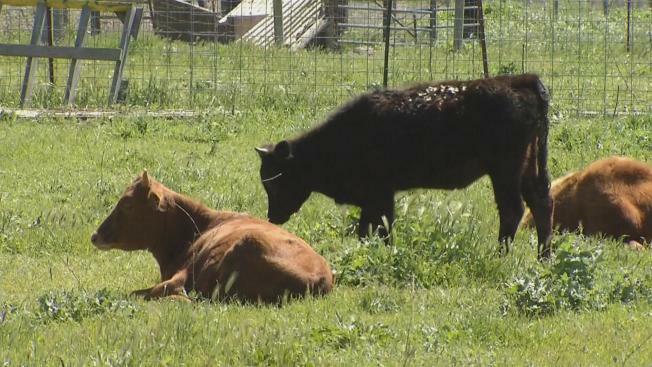 Morgan Hill Unified School District officials said last weekend someone released about a dozen cows that were owned by Live Oak High School students. They don’t know if other students or maybe a neighbor is to blame. “I think it’s disrespectful,” said student Samantha Avilla. The freshman and a member of the Future Farmers of America (FFA) said she was relieved the cows weren’t injured and that they didn’t injure anyone else. The vandals broke into the farm, which is next to the high school, let the bovines out of their corrals and spray-painted "FFA Kills" on the barn. Beare said a similar incident happened over the summer when vandals released pigs from their cages. The pigs ended up fighting and injuring each other.